Most Comfortable Bikes For Fat Guys And Overweight Riders. I grew tired of little bikes within the first 2 months of venturing into biking. I was almost to give up when Neil, my longtime buddy told me of bikes for fat guys. I trusted him because there was a time he used to run his own bike repair shop in my area. And boy! Big bikes are to me the next best thing after sliced bread (forgive the cliché). Since then, my curiosity has made me dig deep into these handy machines and I will be sharing some of what I know in this post. I hope to help you, my fellow big rider, make the right decision. What Are Bikes For Big Guys? Bikes for big guys or bikes for fat guys are specially built, typically heavy duty bicycles that come with various advanced features to help bear with the excess weight of a heavy person. You will notice a more robust frame, an unusually spacious saddle, wider wheels, and a generally superior overall construction that ensures they don’t succumb to carrying extra pounds. This design is what makes a bike for heavy riders perfect for a large rider like you and me. Why Do You Need A Big Man Bicycle? Regular bike saddles are designed without focusing on distributing weight around your sit bones causing undue pressure on soft tissue and subsequently, you may suffer some pain, numbness, and persistent discomfort. What about bikes for plus size people? These bikes have extremely big and cozy saddles and keep the numbness to a minimum. Even if you are traveling for a thousand miles, you will never feel a pinch. Having a proper body position when riding your road bike can reduce strain and increase efficiency. But there is no perfect position for everyone- it’s what works for you. However, as a bigger person, you would do well to avoid too much bending because this shifts pressure to your back and may cause lower back problems. Bad positioning also leads to poor technique on your bike, likely adding more problems like tightening your hamstrings which could bring muscle issues. The way forward is to get a bike with the correct geometry for you. Some of the dominant features in bikes for overweight men include a focus on ergonomic comfort, raised handlebars (to make it less stressing on your arms), upright riding position, and a wide seat. These, plus others like a lowly, step-over bar make it easier to mount and dismount, pedal, to push the bike and make the entire experience mind-blowing. The upgraded abilities of your bicycle for heavy riders make it comfortable and will motivate you to cycle daily and for miles meaning you won’t stop until you have hit your exercise goals. A lot of people I know give up biking principally because they ended up with a bad bike. When I started off, I got down from 300 lbs. to 235 lbs., though I have slackened off and am now close to 275 lbs. Along the way, I have cracked my Titanium frame (and had it welded) and one steel frame. I have broken a few saddles too over the years and bent a cheap replacement steel seat post. Well, it was scary at first but now I am wiser. I know my weight matters and I only pick bikes which can withstand pressure. Most of the bikes for fat guys are of greater quality and do just fine. In a country with an estimated over 160 million obese people, American manufacturers seem to be concentrating too much on releasing lighter and shallower regular bikes. Indeed, I often hear newcomers into our biking club complain of a discomforting ride as soon as they join us on the road. And I am always the first to advise them to get a bike that understands them! So, what are the common types of bicycles for heavy people? If you love speed and like riding on paved surfaces, road bikes for heavy men could be a dream. With a leaning forward position, the length of your road bicycle is critical for comfort and safety. For this reason, whatever your height and weight, avoid compromising on the size. 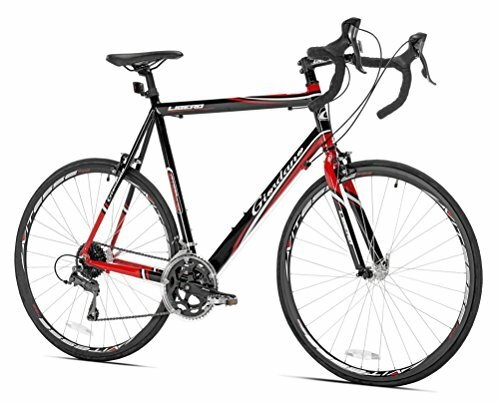 Popular road bikes for extra size men are manufactured with utmost creativity as they have to be lighter yet fully capable of supporting our massive weight. Well, not many manufacturers crack this but Giordano has perfected this art. Here is the link to one of their best models. A big guy mountain bike is supremely engineered off-road cycling. … They deliver unbelievable pleasure on mountain trails, fire roads, single-track, and in all unpaved surfaces. Their strength lies in their suspension and cushioning that helps them handle rocks, loose dirt, roots, and steep grades. With a mountain bike, you need more clearance between your crotch and the bike’s frame to avoid common injuries. We occasionally do a random off-road trip to the countryside with my partner and this led me to the Merax Finiss 26″ 21 Speed Mountain bicycle. (Check On Amazon) She supports 330 lbs and has 21 speeds so you can imagine the thrill of climbing while riding her. I have now used her for 3 years and have nothing but praise! This is a bike that combines balloon tires, upright seating posture, single-speed drivetrain, and a steel construction. 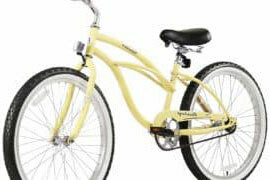 Cruisers are awesome for casual rides and vacationing courtesy of their stability and ease of riding. Cruisers shine on paved roads and moderate speeds/distances and attract raving reviews because of their durability and distinctively heavy-weight build. 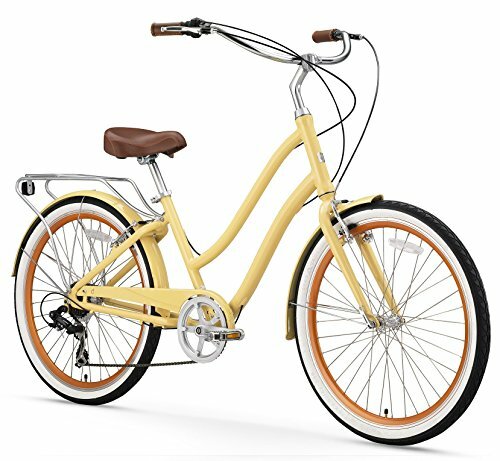 Compared with some of the other models, I always find the Firmstrong Urban Lady Cruiser Bicycle (Check On Amazon) professionally built. It can hold 300 lbs. its men’s counterpart also feels pretty sturdy and doesn’t seem to have issues with holding heavier weights. For both, the main feature is the curvy steel frame which is complemented by burly 26-inch aluminum wheels (with 2.125-inch wide tires) for smoother rides. A hybrid bike is a type of cross-breed between a road and mountain bikes and suits you if you like speeding on paved roads but you are also into a significant amount of off-road. 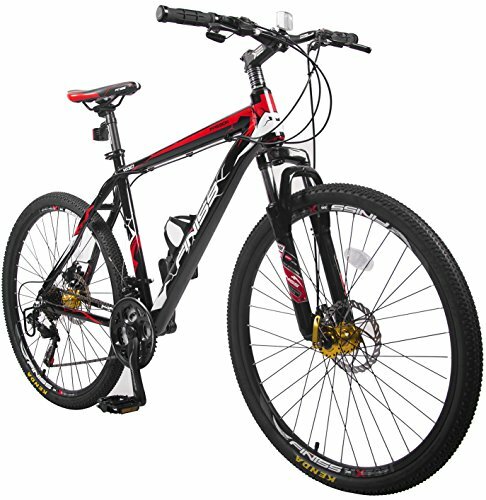 This bike combines the wider fast rolling wheels of a road bike with the suspension system and gears of mountain bikes. The result is an amazing bicycle that suits general-purpose riding over diverse types of terrain, which explains why most big man hybrid bikes tend to be favored for commuting. 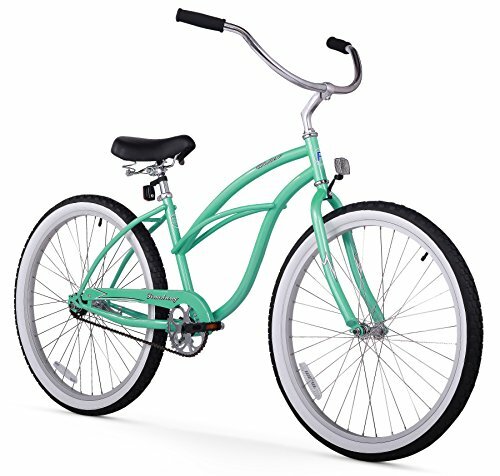 I bought the Sixthreezero EVRYjourney Women’s Hybrid Cruiser Bicycle (Check On Amazon)for my 280 lbs. lady two years ago and she has been very impressed with it. This classic hybrid has a capacity of 300 lbs. And has a lower center of gravity plus the foot-forward design that helps with proper posture. I have been planning to try its men’s version hoping it’s going to serve me as well. An adult trike is primarily a three-wheeled bike designed to help adults and/or seniors who need extra support/stability when riding either due to mobility issues or some disabilities. It brings you some interesting options such as low-profile frames, roomy storage baskets (for carrying your shopping), and multiple speeds. You will find it straight-forward, practice, and strong. 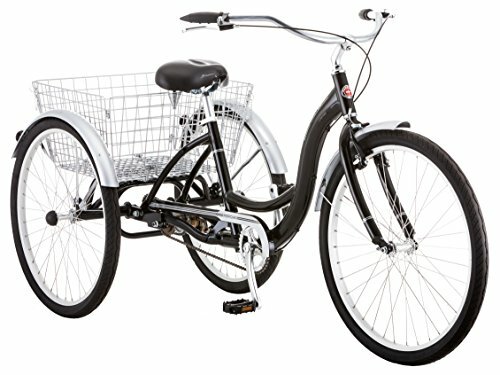 You can check out the Schwinn’s Meridian Full-Size Adult Trike (Check On Amazon) to see what I mean. You may already know that cycling is one of the most recommended pastimes. It’s great for family time, helping in keeping disease at bay, and helps you with metabolism. How else does biking help? Whether you are starting or a veteran, pedaling is a perfect exercise for big people. Its low-impact and you can be joined by your kids as you head out making it quite exciting. You can even go on adventures like touring or camping. The best bicycles for big guys will help you lose weight. The average cyclist burns an approximated 40 calories/mile riding at low intensity. With more commitment, you can lose thousands of calories weekly helping get back your shape. In a study, Researchers at Stanford University concluded that regular cycling can shield your skin against UV radiation, reducing the signs of ageing. The Increased circulation from biking exercises also delivers more oxygen and nutrients more effectively to skin cells while ﬂushing toxins out. Exercise also helps optimize collagen production. Collagen is known to reduce wrinkles. You and I know that we can really struggle finding a good cardio exercise as most of the recommended ones like swimming aren’t that comfortable with a large person. But riding bicycle, according to Studies can cut the risk of getting heart disease by a staggering 50 percent. One of the more prominent benefits of biking is that it can help fight climate change. In a study, the institute for transportation & development showed that Bicycling could help lower carbon emissions by as much as11 percent in urban transportation. And that’s great news in a time when the world is fighting to go green. Tips On Buying the Best Bikes For Fat Guys. I have to say that I made a lot of mistakes when I was starting. While I had an idea about bike for fat guys, I wasn’t sure exactly sure how to tell a usual bike from bikes for big and tall guys. I ended up trying 4 bikes (yes, 4) before landing my first true big man bicycle. bikes for big men should ideally have 29″ wheels as standard wheels (26″) often struggle under weight. Similarly, do not go for anything less than ¼ inches for tires. This combination supports weight much better. To cut your chase, focus on brands like Zize which have an established reputation for making bikes for heavy guys. You can also try Worksman Cycles. Bikes for over 300 lbs and more will have more than a traditional thin saddle. Find the most robust seat for bikes for 300 lbs man (you have options) and fasten it securely to ensure it doesn’t slip under pressure. And invest in bigger, tougher pedals too. Check the crucial parameters in your bike for heavy women and men. Know your most appropriate saddle height, pedal crank length, handlebar placement, length and height of its frame and every other parameter that affect your comfort. You won’t get one-size-fits-all bikes for fat people so be very precise. You will also need a good ground clearance if you are tall. I find pedaling in raised areas an uphill task so my 13-speeds best bike for big guys come in handy. A bike with such awesome gears reduces pedaling and makes your work easier especially when traveling far. Bicycles made for larger people are easily noticeable. They typically come with strong steel frames – a rare feature on general purpose bicycles- with some companies guaranteeing bikes supporting as much as 550 lbs. The remaining construction follows the same trend. As mentioned, mountain bikes for big guys and indeed all types of bikes for overweight ladies and men withstand pressure extremely well and will help up your cycling game meaning more fun. This is because they are unique in their own ways. For example, they have a beefed up construction, oversized saddles, and fat tires. And this is what makes them so worthy of your attention. It’s can be fair to say that the only thing that stands between you and the many benefits of riding a bike is a nice bike from the current selection of bikes for fat guys. So, what’s your dream bike for big man?